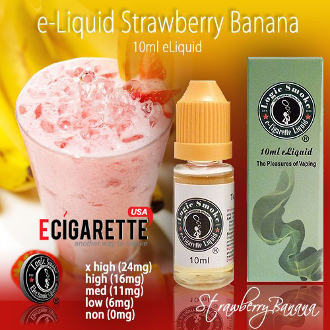 Our Strawberry Banana E-liquid from Logic Smoke is the wonderful, sweet flavor you've been looking for. With its perfect mix of strawberry and banana flavors, you'll be thrilled to have found this great flavor. Pick up a bottle of our Logic Smoke Strawberry Banana e cigarette juice today and introduce yourself to your new favorite flavor.